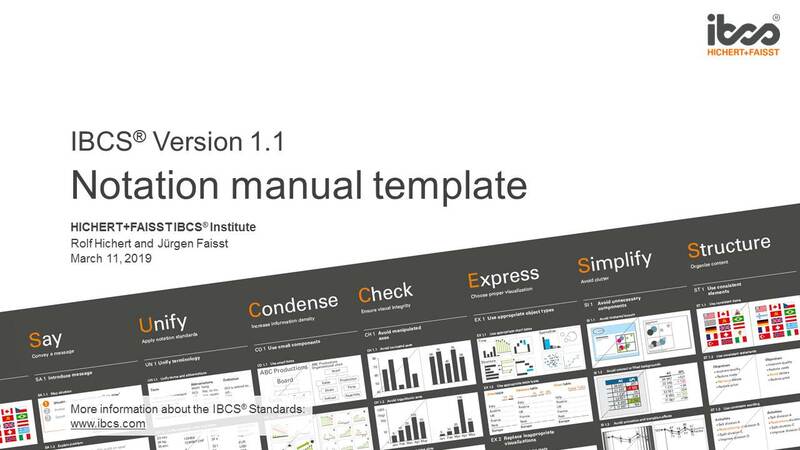 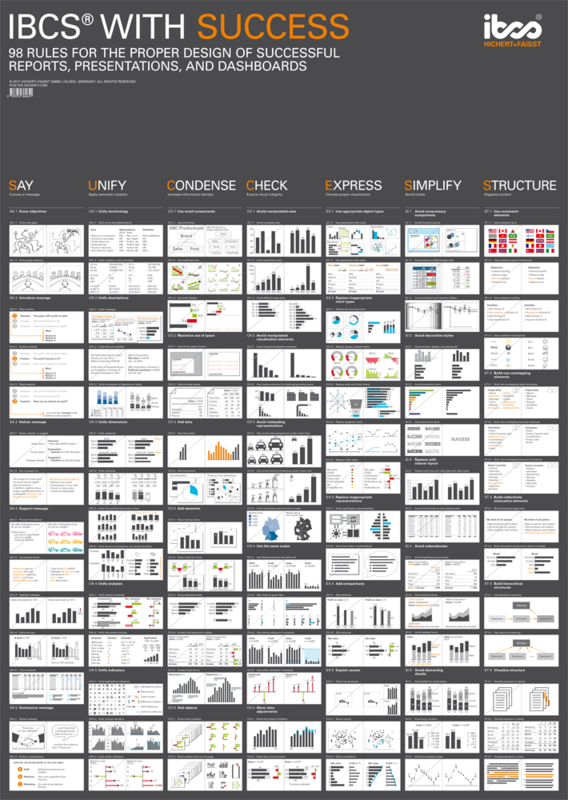 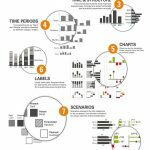 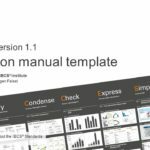 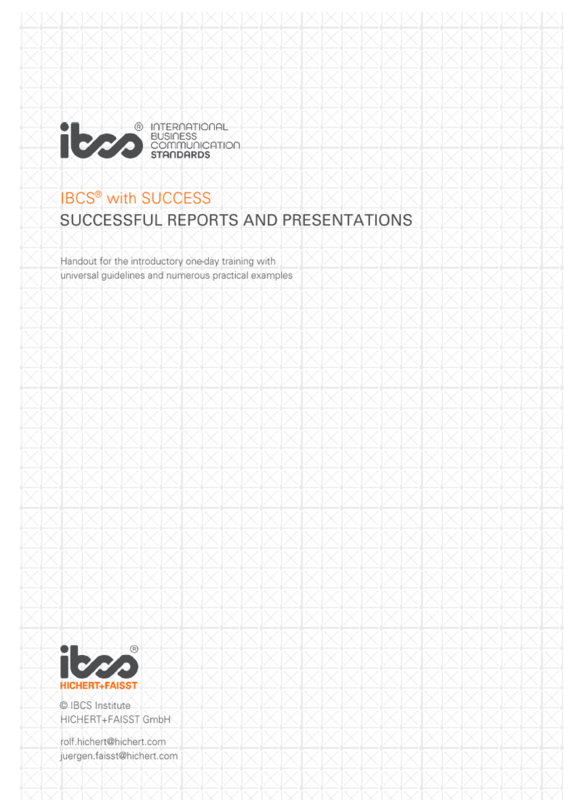 PDF-version of the poster that shows pictures covering the 98 rules of the SUCCESS formula for IBCS® compliant and hence more comprehensible reports and presentations. 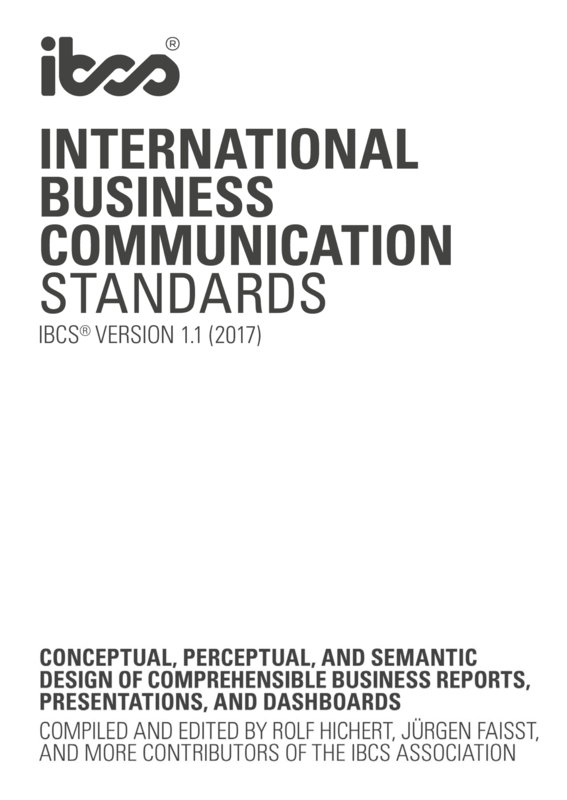 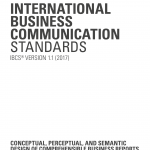 Corresponding with the table of contents of the International Business Communication Standards (IBCS®). 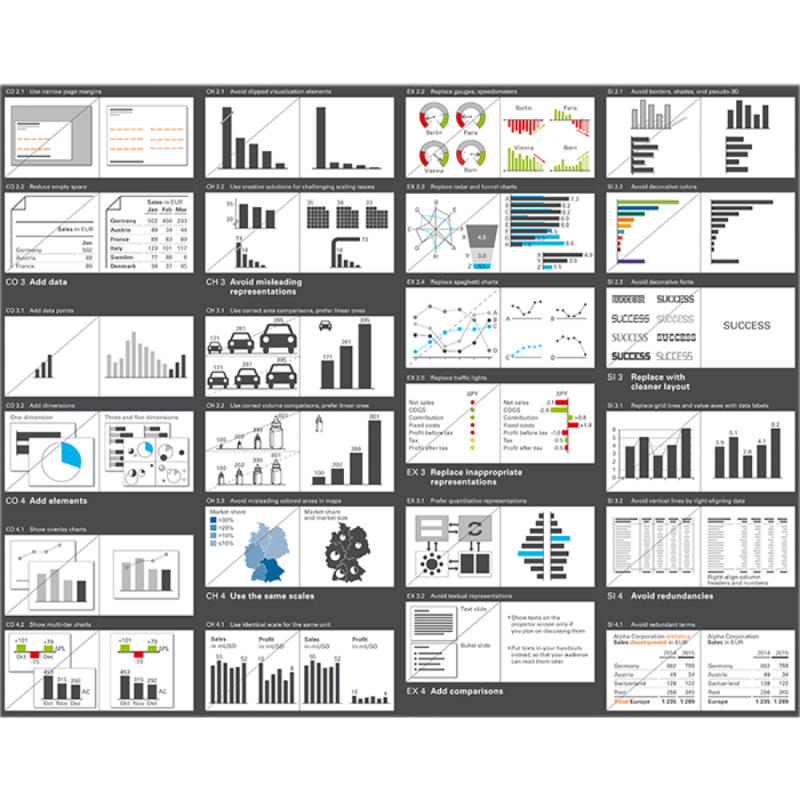 The license grants permission to print up to 10 posters from the PDF.